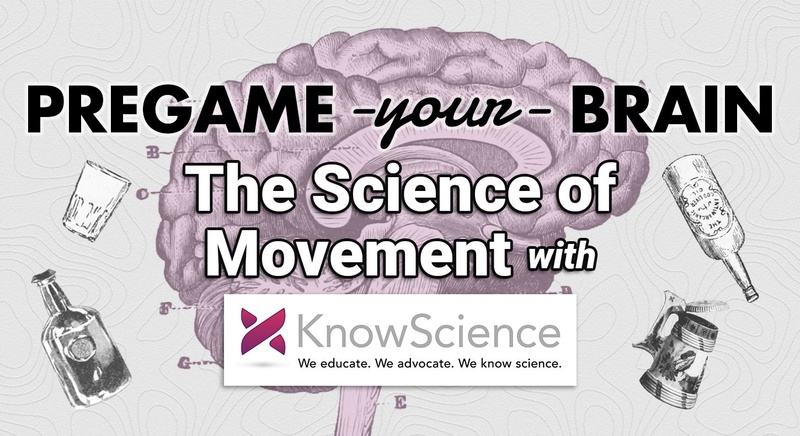 Pregame Your Brain: The Science of Movement – Start your weekend off with the right moves! Kinect energy, kinesiology, biomechanics, electrophysiology – these hosts have got 'em all. Explore an amazing array of movement-based stations, learning about how our body moves and what moves our bodies, without even spilling your drink. This Pregame is cohosted with KnowScience, a non-for-profit science education and outreach organization working to enhance public understanding of science. Control Your Friends (and Consenting Enemies): Have you ever dreamt of controlling the people around you? Now you can! Come control someone else’s arm with only your brain (and our electrophysiology technology)! Wacky Visual Illusions: Can you challenge yourself to these mind-blowing optical illusions? Come find out how they are gathered by your eye and processed by your brain, creating a disconnection between perception and reality. Tracking w/ Microsoft Kinect: Come discover the latest technology behind motion sensing to understand how learning about movement can help recover movement in people that have been hurt or sick. We have a real Kinect to play with! Leap Motion controller: play next-gen video games! The infrared light sensor of the Leap Motion Controller tracks the motion of your hand and forearm, allowing you to play a video game without touching any surface! That's freaking COOL! --Dr. Chiara Bertipaglia is the Scientific Program Manager at Columbia University’s Zuckerman Institute and Know Science Vice President. She was a research scientist until last year at the Columbia University Irving Medical Center, doing cutting-edge research on brain stem cells. --Stephanie Rogers is a PhD candidate at NYU studying how epileptic brain activity arises and can be altered. She has done over 6 years of research on epilepsy and has founded a group to raise awareness about recognizing and treating seizures. She is also a mentor of young women interested in pursuing careers in STEM. --Dr. Tiago Altavini is a neuroscientist at The Rockefeller University. He has been studying the visual system since he was a biology undergrad student at the University of Brasilia and a PhD student at the University of Rio Grande do Norte. The aim of his research is to understand the mechanisms by which expectation influences visual perception. --Sarah Baker is a graduate student earning her Ph.D. in a neuroscience lab at The Rockefeller University. She is studying vascular contributions to Alzheimer’s disease in an attempt to find better therapies to prevent and ameliorate the devastating effects of this neurodegenerative disorder. Plus: Check out these other awesome Stations! Movement and the Mind w/ Artichoke Dance Company: Experience how conditions and focus of attention affect proprioception, balance and even alertness as dancers/choreographers LynnNeuman and Aidan Feldman of Artichoke Dance Company lead you through activities and physical experiences that illustrate these connections. --Lynn Neuman, Director of Artichoke Dance Company, is one of the nations leading eco-artists, sought for workshops, lectures and performances in eco arts activism and engaging communities in innovative ways. 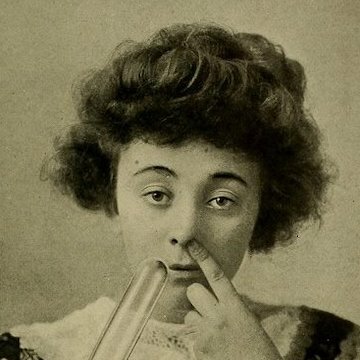 She was featured in Dance Magazine in August 2018 for her innovative work, is honored to have been a Association of Performing Arts Professionals Leadership Fellow and a Marion International Fellow for the Visual and Performing Art, and serves on 350Brooklyn’s Steering Committee and is an American Littoral Society Coastal Clean Up Coordinator. --Aidan Feldman is a computer programmer by day and dancer by night, working with Artichoke Dance since 2010 as well as Amy Chavasse Dance and Performance, danceTactics Performance Group and the Barkin/Selissen Project. He gives talks and organizes meet ups around NYC about learning to code, has taught programming at NYU and Cornell and can be found flying around the streets of New York on his bicycle. You and Your Muscle-y Body w/ Columbia University: Come try our force plate and measure how high you can jump! Then check out 3D printed models of the human knee to see how different tissues work intricately together to transfer loads when you run, throw, lift, and complete other daily tasks. --Katherine Spack is a PhD Student in the Columbia University Musculoskeletal Biomechanics Lab. She is studying the composition and mechanics of articular cartilage with the goal of developing viable long term solutions for osteoarthritis. --McKenzie Sup is a PhD student and member of Carroll Laboratories for Orthopedic Surgery, where she investigates ways to improve tendon to bone healing after massive rotator cuff tears. The lab's overarching goal is to guide the body in reproducing the mechanics and composition of a healthy shoulder after serious injury. Do You Even Shift w/ Mejor Strength: We are not symmetrical; our bones move in an alternating fashion. Our brains rely on this. Learn how the brain prefers us to shift weight (from dance, to strength training, & martial arts)! Model Pelvis showing you what’s happening beneath the surface! --Joe Gonzalez is a Motor Skills Coach based in Manhattan. By blending Neuroscience, Biomechanics, & Cognitive Psychology he reimagines traditional strength training.